Republic Records is Taylor's record label in the US. It is an American record label owned by Universal Music Group (UMG). It was founded by Avery Lipman and Monte Lipman as an independent label in 1995, and was acquired by UMG in 2000. 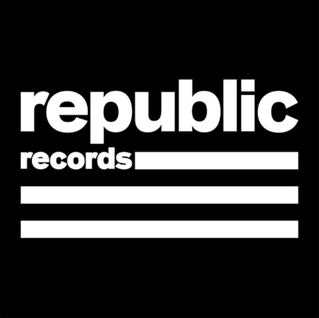 Republic was initially an imprint of the Universal/Motown Records Group, and was renamed Universal Republic Records after a reorganization in 2006 before reverting to its original name in 2012. Taylor unveiled details of her long-awaited new record deal in an Instagram post to her 113 million followers in November, 2018, saying "I'm ecstatic to announce that my musical home will be Republic Records and Universal Music Group" and hailed Universal Music Group chairman/CEO Sir Lucian Grainge and Republic founder/CEO Monte Lipman as "incredible partners". Under the deal, Taylor will retain ownership of her master recordings from now on, a move she described as "incredibly exciting". "It's really important to me to see eye to eye with a label regarding the future of our industry," she added. "I feel so motivated by new opportunities created by the streaming world and the ever changing landscape of our industry... I also feel strongly that streaming was founded on and continues to thrive based on the magic created by artists, writers and producers." Taylor was believed to have had a myriad of options on the table with regards to a new deal, from huge major label offers to going it alone. All six of Taylor’s previous albums were released on Scott Borchetta’s Big Machine label, with distribution via Universal Music Group. Taylor gave "heartfelt thanks" to Borchetta for "believing in me as a 14-year-old and for guiding me through over a decade of work that I will always be so proud of". This deal sets Taylor up as the ultimate industry game-changer. The business -- and Swifties all around the word -- will now await news of her first new music under the deal.